Last week, Opera, Well known for their data compression mobile browser joined Tech4Africa, the largest tech conference in Africa which brings together different companies, innovators and start-ups that play crucial roles in Africa’s digital tech. It is estimated that Currently, there are only 3 billion people who have access to the internet, which is just slightly over 40% of internet users globally. 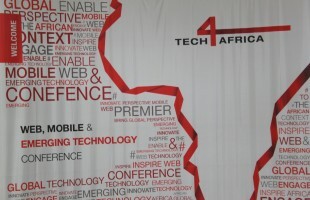 How to get the next billion online is one of the topics discussed in Tech4Africa. some of the challenges include education, access to mobile devices and cost of infrastructure and mobile data. Efforts involving innovative solutions from different groups were presented. "As for Opera, we help people, with our free apps that compress data, meaning cheaper use of mobile data and a better online experience, even in bad network conditions" reported in an article to discuss this event. Over the past 20 years , "we have been enabling more people to connect to the internet faster and efficiently without breaking the bank. Karin Greve-Isdahl, our VP for Communications, shared with the conference how our apps and services do this". "Our compression shrinks the size of text, photo and video data down before it is sent to the user’s mobile device. This saves precious mobile data on the go. Our free app for Android, Opera Max , is a data-management and data-savings app that compresses most Android apps across the device. Opera Mini , our mobile browser for Android, iOS, Windows Phone and basic phones also compresses webpages"
Don't miss out on our updates. Subscribe to My Tech Lab with your email address and receive instant updates on Tech News.